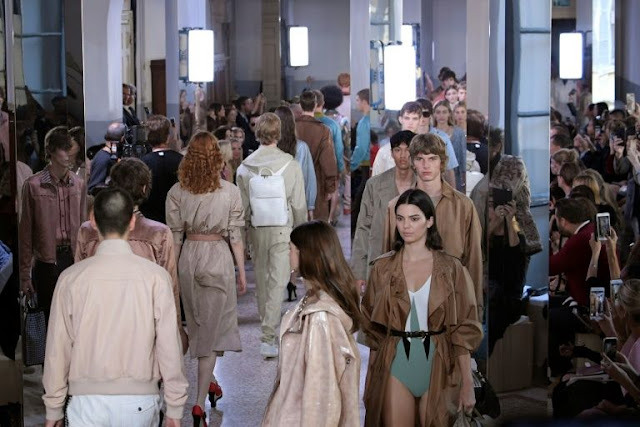 The models sent down a spare outdoor runway on Saturday by the new creative leads at minimalist label Jil Sander were wearing white and flowing garb like that of a mystic, offering an antidote to the Milan fashion week flash. Husband and wife duo Luke and Lucie Meier's first show at the creative helm of the German-founded house also featured oversized suits and coats with none of the season's obsession with sequins and exotic prints. The designs were an embrace of "purity... we're not interested in excess at all," Canadian Luke Meier told reporters backstage after the show. "I don't think we do it from the perspective of what is going on (in fashion). We do it from the perspective of what we like and what we feel is right at the moment." There was also a suggestion of innocence in the designs, with a handbag made to look like a school boy's books wrapped in a leather strap, and suits big enough to look like adult clothes on children playing dress up. "Lucie and I work together very naturally," Meier told Vogue in June of his Swiss-born wife. "We have had an open dialogue about the approach to design for over 15 years and have often spoken of working together one day." 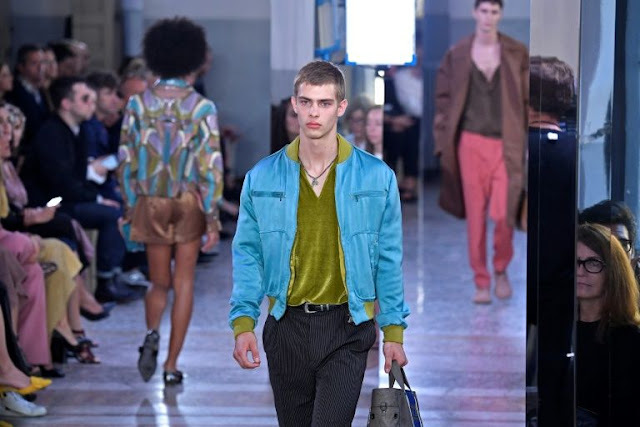 At the other end of the spectrum Italian fashion house Bottega Veneta had Hollywood star Lauren Hutton bobbing her head to hip-hop earlier in the day as it showed off a playful, nightclub-ready collection heavy on jewels, mirrors and fringe.